ASEI L’CHA RAV – Find or make yourself a RAV – a rabbi or teacher. U-K’NEI L’CHA CHAVER – acquire for yourself a CHAVER – a friend, companion or a partner for study. VE-HEVEI DAN ET KOL ADAM L’CHAF Z’CHUT – and judge everyone favorably, towards their merit OR give everyone the benefit of the doubt. The first two statements of this three part quote sound like they are appropriately paired one to the other. One is about finding someone who knows more than you know from whom you can learn. The second declares that we should find a peer, an equal with whom to study after sitting at the feet of our chosen RAV. It may be that ASEI L’CHA RAV doesn’t just mean to find a teacher, but to turn yourself into one. Develop yourself into a dedicated, knowledgeable educator – take the time and energy to make that happen, and be patient as your talent for teaching and learning unfolds. That way you can be both a RAV and a CHAVER. But what about that third part of the saying? “DAN ET KOL ADAM L’CHAF Z’CHUT. Literally, it means, “judge each person according to his or her merits or good points.” Working and learning in close quarters with friends and colleagues might create moments where our impatience can get the better of us. Rabbi Joshua was telling us from two millennia ago something that we have probably learned in our own lives. Sometimes we just want other people to accentuate our positive traits when they think about their partnership or friendship with us. And if we want other people to do that for us, we need to reciprocate in kind. For the rabbis, that was the key to sustaining relationships within a community. Always tipping our view of people with whom we serve towards the positive side will make an institution or organization warmer and stronger. It was this principle of making oneself into a teacher and being a caring and steadfast study partner and friend that guided Jerry Kane’s life as a rabbi and a human being. Some of you had the opportunity to get to know Jerry well here in Las Cruces through his teaching, his community work, by reading his reviews in the newspaper, and through building relationships at Temple Beth-El. Jerry was such an inspiration to me as a new educator. He set me on the right path and was always willing to consult and be helpful. He showed concern for my work and followed through when he made an offer to help. Jerry was a supportive mentor and loving individual. Jerry was an assistant rabbi at my congregation when I was growing up. I was just a kid. And yet he reached out and supported me from the time I became a rabbi. He not only asked about me but always about my parents, my brothers…. what a big heart. His smile and wisdom will be missed. Jerry was an interesting, kind and talented man. He was a great educator and so many of us learned so much from him. Jerry was a source of strength and meaning for so many. I will miss my inspiring dialogues with Jerry and his sage wisdom. He was always excited about what he would share whether it was in the area of Judaism, literature, or his love of musicals. We had many deep and thoughtful conversations. He made a difference in the world. His energy, his passion, his zest for life, his gratitude and his thoughtful observation should be inspiration and lessons for us all. I will miss his enthusiastic and tenacious contributions to so many events and organizations in Las Cruces. His love of Judaism, his spirituality, his involvement with the greater community and his generosity will long be remembered by all who knew him. I feel as if I have lost a brother. Jerry’s accomplishments as an educator and a rabbi spanned his entire career. When he arrived in Kansas City, Missouri to assume the rabbi-educator position at Congregation B’nai Jehudah, the article in the local Jewish newspaper spoke highly of his achievements in his previous community in Phoenix. He brought to B’nai Jehudah his energy, enthusiasm and creativity to design and lead innovative programming. One of his partners in his work there, Devra Lerner, recently shared with me how a well-attended Healing and Renewal Service came to be created: “After we were inspired by a renewal service conducted by Debbie Friedman at a Conference on Alternatives in Jewish Education gathering, we decided to try to bring that meaningful moment back to the congregation. We developed a service which judging from the attendance of 300 plus, provided a meaningful connection to Judaism and prayer.” In fact, elements of that service from the 1990s influenced the content and structure of our own Shabbat Service for Renewal of Spirit at Temple Beth-El. Jerry was proud of earning the title of Reform Jewish Educator in the 1990s. Here in Las Cruces, Jerry taught the Reform Jewish movement’s “Taste of Judaism” course several times. His interfaith work was near and dear to his heart. When he saw a need for interreligious dialogue and learning, Jerry created a series on the book of Psalms that brought clergy and lay leaders together for study and discussion. He was president of the New Mexico State University Interfaith Council several times, and created a close partnership and friendship with now Bishop Emeritus Ricardo Ramirez. And as some of you may know, the Kanes, the Karols, Bishop Emeritus Ramirez and Bishop Oscar Cantu have met for dinner and fellowship over the last two years. While Temple was at its previous location, there were often coordinated programs shared with members of Holy Cross Catholic Church. Thanks to Jeff Steinborn, Jerry had the opportunity to deliver invocations in the United States Senate and House of Representatives on consecutive days, and Jerry was reportedly the first clergy to do so. As rabbi of Temple Beth-El, Jerry stood for Judaism’s teachings and held them out as an ideal for which all members could strive in their personal lives and in their service to the congregation and community. He himself tried to set an example for ways in which Judaism could lead us to make a better world and to make everything we do count. Jerry knew how important it was to have a vibrant, welcoming and warm community, to support it and to be supported by it in times of celebration and in moments of need and challenge. After his retirement in 2007, Jerry continued to make himself into a devoted teacher and a dedicated student. He taught his “Jews in Film” course at New Mexico State University only after doing all the necessary research, meticulous planning, and a personal evaluation of what modes of teaching would work best in that setting. With the help of talented local artisans, he took up pottery, sculpture and painting. He was one of the “Men Who Cook” to help raise funds for Mesilla Valley Hospice, having his “Cookies with a Kick: Triple Chocolate Pecan Bites” recipe and other recipes find their way into the national press, including The New York Times. Through hard work and applying his vast knowledge of and familiarity with theater, Jerry wrote reviews of productions at local theaters for the Las Cruces Bulletin. He was already someone with whom people enjoyed talking about Broadway, Classical Music, and Opera. Jerry embraced this new role as a reviewer of community theater and became, essentially, a community journalist. He gave feedback that he intended to be honest, respectful and critical with an appropriate balance that would offer praise and encouragement to actors and to those involved in production and directing. He felt that his readers wanted him to give his forthright opinion and to be true to his own analysis, and they looked to his views for their own attendance at local performances. Jerry gradually became an important force on the Las Cruces theater scene. When Jerry wasn’t involved in finding creative outlets for his boundless energy, he was traveling with Cyrille, attending local events and activities, adding his knowledge to the PrayerWorks gatherings at their home, or just relaxing and enjoying life in Las Cruces. There were also visits with family, which led to close relationships with children and grandchildren. Recent months have brought new challenges, and the fact that Jerry was at home, with Cyrille, and among his books, his musical recordings, and other media gave him a sense of comfort. Cyrille’s dedication during this time, visits from many of you in the community, assistance from friends and helpers from local agencies, and sentiments expressed through cards and emails offered Jerry connection and inner peace, which led to a quiet passage from this life last Friday. As for me, personally, I will miss my Reform rabbinic colleague and friend here in Las Cruces. Rhonda, Adam and I did see Jerry and Cyrille from time to time in Kansas City, and they once came out to visit us in Topeka. My parents were active at Congregation B’nai Jehudah, so there were times when we were all together at community events. Speaking with mutual friends from the Midwest over the last few days reminded me how much Jerry and Cyrille became a part of that community that still serves as my own Jewish foundation. ASEI L’CHA RAV – U’KNEI L’CHA CHAVEIR. Find yourself a teacher. Get for yourself a study partner and friend. I hope that, in some measure, or in many ways, Jerry Kane fulfilled those roles for you and will continue to be for us all an exemplar of the value of learning and making ourselves into the best teachers and students we can be. ZEICHER TZADIK LIV’RACHAH – may the memory of this guide and leader be for blessing. Gerald M. Kane is the Rabbi Emeritus of Temple Beth-El since his retirement in July 2007. Rabbi Kane was ordained from Hebrew Union College-Jewish Institute of Religion in Cincinnati in 1970. He has served pulpits in Portland, Oregon, New Orleans, Louisiana, Phoenix, Arizona and Kansas City, Missouri before coming to Las Cruces in December, 1998. Rabbi Kane is a member of the Central Conference of American Rabbis. He is one of the founding members of CAJE, the Coalition for the Advancement of Jewish Education. He and Temple Beth-El are recipients of the 2005-2006 Congregation of Learners award for innovative Adult Education programming. For his work in the field of Reform Jewish Outreach, Rabbi Kane and Temple Beth-El were recipients of the prestigious UAHC’s Department of Outreach 2001 and 2003 Belin Awards for innovative programming in the areas of Outreach and Synagogue Membership. Rabbi Kane received his B.A. from the University of Buffalo, his BHL and MAHL from Hebrew Union College and was awarded the special title Reform Jewish Educator for his efforts in the field of Jewish Education. 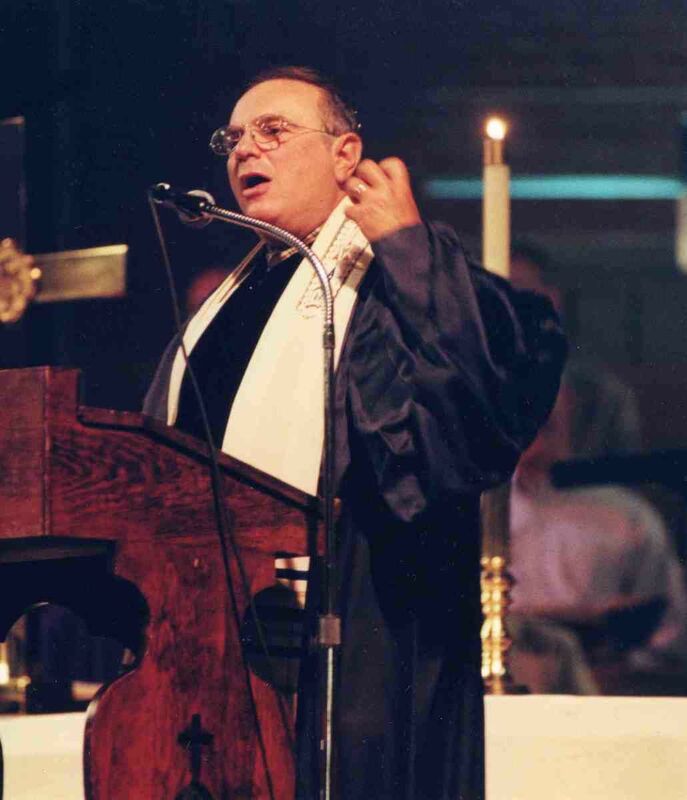 In March of 1995 he was awarded a Doctor of Divinity degree from Hebrew Union College in recognition of his twenty-fifth year of service in the Reform rabbinate. In Las Cruces, Rabbi Kane developed strong ties with students, faculty and administrators at New Mexico State University. He served as president of the NMSU InterFaith Council for five years, and has served as guest lecturer in the Departments of Music, History, Anthropology, Theatre and Agriculture. He has served as a Board Member for the American Southwest Theatre Company at NMSU and assists in on air fund raising for the Las Cruces NPR and PBS stations. On occasion he teaches “Jews on Screen” a popular 300 level English course. In October, 2002 Rabbi Kane was invited by Senator Jeff Bingaman and Representative Joe Skeen to serve as Guest Chaplain at the United States Senate and House of Representatives. He is the only clergyman in the United States to have offered prayers on the floor fo the House and Senate on two consecutive days. In April of 2007, at the invitation of Rep. Jeff Steinborn, he served as guest chaplain at the New Mexico House of Representatives. Rabbi Kane and his wife Cyrille have four children and nine grandchildren. Together they have earned national reputations in their work in Jewish healing and spirituality. They organized the first Film Festival for the Conference on Alternatives in Jewish Education, bringing to the gathering Peter Bogdonovich and other prominent film directors and performers. For their efforts, they received a special commendation from the Board of the Coalition for Alternatives in Jewish Education. Since arriving in Las Cruces, Cyrille has facilitated monthly “Prayerworks” sessions. She is a member of the American Association of University Women, Hadassah, and Temple Sisterhood. Cyrille’s poetry has appeared in Sarah’s Daughters Sing: an anthology of Contemporary Jewish Women’s Poetry and To Honor and Respect: writings on Sacred Aging.